The pungent, scented leaves and flowers are used in herbal teas. Young shoots were used to flavor pastries and puddings. In Italy, it is used as a culinary herb. pruned down to within 15 inches of the ground every year, otherwise it grows lanky and unsightly. Every year the main stem increases in girth until it is quite 1 to 1,5 inches in diameter. ​Old plants kept pruned as above make shoots 2-3 feet long, and the plants put out 2 feet apart, form quite a striking hedge. A yellow dye can be extracted from the branches of the plant, for use with wool. Its dried leaves are used to keep moths away from wardrobes. The volatile oil in the leaves is responsible for the strong, sharp, scent which repels moths and other insects. It was customary to lay sprays of the herb amongst clothes, or hang them in closets, and this is the origin of southernwood's French name, "garderobe" ("clothes-keeper"). 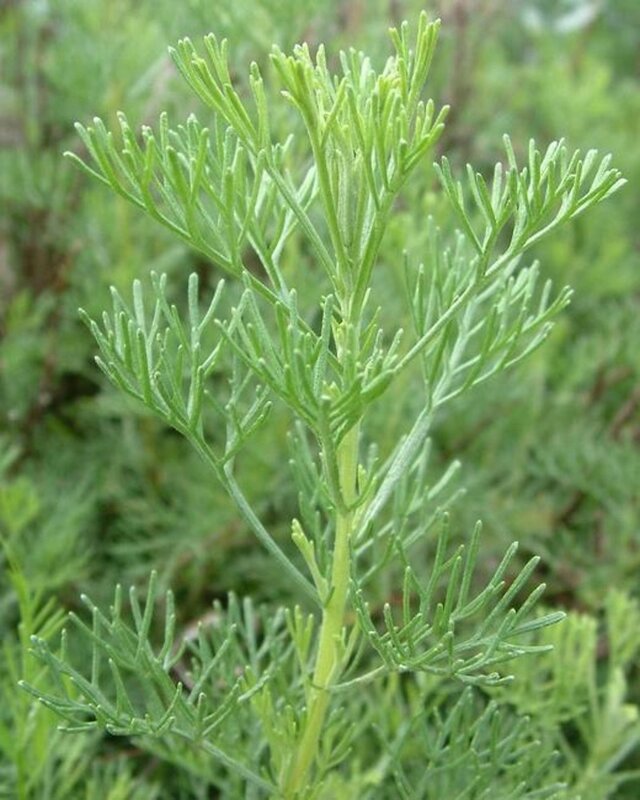 Judges carried posies of southernwood and rue to protect themselves from prisoners' contagious diseases, and some church-goers relied on the herb's sharp scent to keep them awake during long sermons.